As Doug Parr (Chief Scientist and Policy Director at Greenpeace UK) pointed out of George Osborne’s budget: “My list of winners so far in Budget 2014: coal industry & importers, big energy users, fossil fuel extraction, drivers, aviation industry.” Oh well, he had told us it was time to “ditch the green crap”. He was of course quite right and the biggest event of the week wasn’t Ed’s content-free speech in Perth, or Labour’s Devolution Commission report, or the Tories coming to Edinburgh, or even the Budget. The biggest event of the week was largely ignored by the media and the politicos, and for very good reason. It was about our future, and nobody’s really that interested. While Scotland was unveiling a massive opportunity for our long term future instead, both sides are still just obsessed by oil. For the SNP “its Scotland’s oil” still rings down the decades as the most powerful slogan of our time. Simple, compelling, true. For the No campaign it’s a trigger to disprove the entire case for independence. The No campaign’s case that, uniquely, oil would make us poor, is a farce, and their ‘narrow shoulders’ argument, widely ridiculed. It’s part of the Punch and Judy routine of the binary debate that we would be – instantly – either a financially stricken outcast of the globe – or a veritable utopia. But a better argument would be, what is the ecological case for fossil fuel extraction and how does it fit with Scotland’s (rightly) much flaunted world-leading climate change targets? Or at least, what is the plan for using the immeasurable power of oil revenue as part of the transition? The biggest event of the week – lost in the constitutional scrum – was the announcement of the world’s third largest offshore wind farm, with up to 326 wind turbines on the Moray Firth. The developments, sited off the Caithness coast, are capable of generating up to 1,866 MW of electricity, that’s enough to power over one million homes, and will be worth up to £2.5 billion to the Scottish economy. While the press bleat about potential loss of Faslane jobs (probably around 500) or redundancies in Britain’s militarised economy, this project could sustain up to 4,600 jobs during peak construction and up to 580 once in operation creating clean renewable energy, without a NIMBY or Bernard Ingham backed front campaign in sight. This is a huge boost to Scotland’s sustainable economy, it’s energy resilience, it’s entire infrastructure. For a change the project has widespread support amongst the environmental movement with near consensus breaking out. Richard Dixon, director of Friends of the Earth Scotland, described the consents as “great news for renewable energy in Scotland” adding “These two schemes alone could provide 40% of Scotland’s peak power needs on a windy day.” There’s backing from WWF Scotland, with only the RSPB opposing. This is an absolutely massive project, but it’s like the media is stuck in the dark ages, oblivious to climate issues and fixated on the oil agenda. The plans announced this week will potentially contribute to Scotland’s goal of 100% renewable energy by 2020 and need to be part of the indy vision for an energy descent plan and a transition to a low carbon economy. The best coverage the announcement got was Fergus Ewing managing to counter Ed Davey’s ridiculous scare whilst in Edinburgh and explain that England’s lights would go out without Scotland’s large and growing supply of renewable energy. Our energy plan needs to be based on publicly owned and community-controlled entities running our energy needs. More about Fintry, Eigg and Gigha than Lockheed Martin. But as we begin to waken up to an entirely new dimension to independence debate – there’s a cost benefit too: Sellafield No More – and while we’re divvying up the debts and assets, what’s our share of £100 billion? One million homes powered by our renewable energy? That’s an energy source that’s never going away and has a minimal impact. That’s incredible. Can we combine that with a housing policy that is about providing well-insulated affordable homes? Can we capture the construction and maintenance work to produce long-term employment prospects and transferable skills from military engineering to renewables? Of course we can. Green energy isn’t some mythical prospect for the future, it’s about creating environmental justice now. Let’s make it part of the debate about what kind of Scotland we want to create. Wow! Because the big news got buried, I hadn’t realised how significant this was! The Kingdom of Bhutan, a land-locked country with a population of <750 000 is apparently the greenest country in the world, and an exporter of "clean" energy. Yes future is definitely green and truly sustainable development (not the misguided trend towards promoting sustainable economic growth) is the only long-term political strategy available. 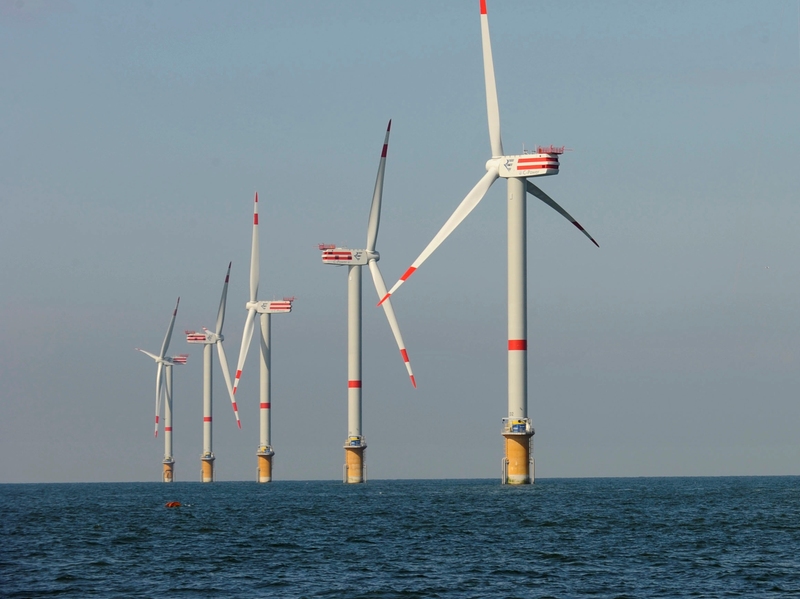 It’s important to recognise that offshore wind deployed at this scale is entering uncharted waters and some potential impacts are as yet unknown. I agree monitoring of new technological deployments is crucial to examine any environmental impacts – however, this does not make sense and sounds a bit like scaremongering. It’s funny that media outlets such as the BBC (British Brainwashing Centre) tend to ignore all the great things about Scotland, in favour of anything they can spin into a negative. By 2020, Scotland could be entirely run with green, renewable energy, and the British media are attempting to cove this up, and spin this story with a negative angle. I am proud to be able to say that my country is one of the world leaders in renewable energy. It’s one of the assets that will allow us to thrive as an independent nation. Outstanding, my wife and I are mulling over selling the current “standard” house and creating our own cob house, highly insulated and unique, so this fits right in with where we are at the moment. If anyone out there can shed a bit of light on courses for cob building etc, we’d be chuffed ! The problem is that too many wind farm schemes are the big energy companies and too few are community projects like ours on Gigha. Large estates and forests owned by absentee (often foreign) owners for investment purposes are creaming off many of the potential benefits for rural Scotland. If the Scottish government had an investment fund or provided low interest borrowing for community renewables as well as for land purchase then community schemes would be much more viable – borrowing money at commercial rates to fund renewable schemes reduces community benefit and increases the payback time before maximum revenue accrues to the community. The extremely high costs of grid connections also reduce the cost effectiveness of community schemes. Community wind turbine projects also tend to involve fewer and smaller turbines which increase rural sustainability – but not at the cost of landscape. I shall look forward to community funded tidal stream turbine projects – Orkney and Shetland could benefit hugely from such schemes long after the oil has gone, as could many areas in Argyll. I’ve always liked the idea of wind turbines, and the more sustainable form of energy that they provide. But I agree with Tony Philpin, there needs to be more community-owned turbines to make this work for the benefit of people and communities. The massive arrays of giant wind turbines across the country follows an industrial model (and turns the countryside into a new type of industrial outpost). The business model also follows the same kind of public-private investment that will ultimately benefit the private investors and corporate companies more than the people/communities in which the turbines are located (apart from the landowners who rent out the hillsides – but we all know about the imbalance of land ownership in Scotland, and again this is money direct to individuals, not for the benefit of the wider community). Off-shore wind farms seem to avoid some of the land-based turbine issues (in terms of direct visual impact and noise pollution) but by adopting the same industrial/corporate model that has got us into the mess we’re trying to get out of (in terms of energy and financial issues) I fear that this is another profit-driven scheme that will last as long as there’s a buck to be made from investment incentives and a share of initial output profits. What happens in 20 years time when 326 wind turbines need to be replaced, or upgraded, or taken down? Will the profit-driven companies put aside money as a decommissioning fund for the future or will this be a cost covered by us/tax payers/public money? The question is, will this massive investment bring down the cost of energy to people in Scotland / UK or will it just transfer the making of money from fossil fuels to so-called green energy? (I say ‘so-called’ as it’s not clear – to me anyway – as to how green energy is at this scale, taking into account the manufacturing processes, use of concrete, etc). I’m generally positive about the energy potential in Scotland but it seems to me the direction it has taken is not a sustainable model in more ways than one. I would think ‘small is beautiful’ would be a more equitable model in this case.